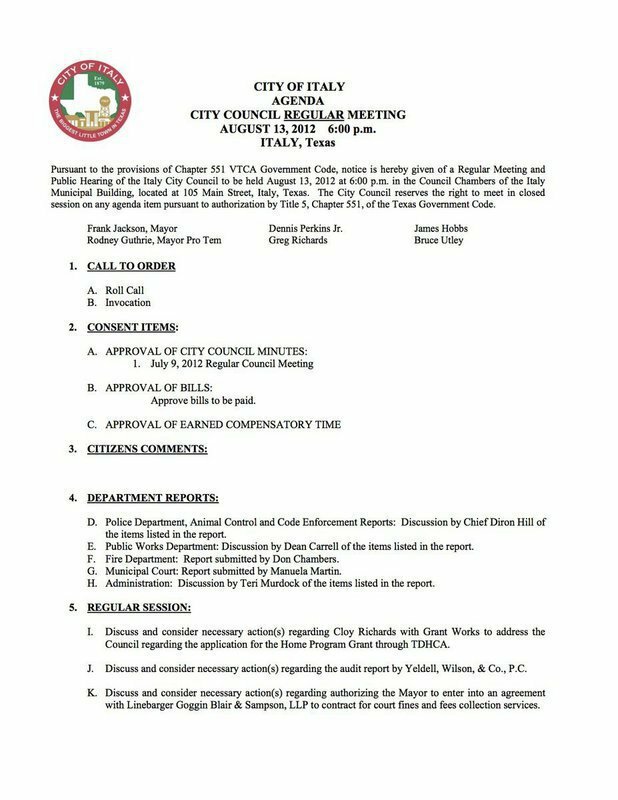 The Italy City Council will have their monthly meeting on Monday, August 13, 2012 in the Council Chambers at 105 West Main Street, Italy. Meeting time is set for 6:00pm. This meeting is open to the public and everyone is welcome to attend.